Looking for... Philadelphia Singles Events, Philadelphia Singles Dances, Philadelphia Speed Dating, Philadelphia Singles Groups, Philadelphia Singles Resources, Philadelphia Singles Activities, Philadelphia Singles Networking Opportunities, Singles Dining Clubs, Events for Christian Singles, Jewish Singles and Mature Singles in Philadelphia, Philadelphia Singles Parties, Opportunities to Meet Singles, Find Clubs and Dating Sites, Social Events for Singles in Philadelphia, Local Singles Dating Opportunities... Single Dating Sites... Single Women... 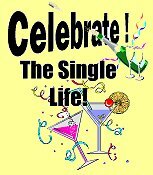 Single Men... and the Philadelphia Singles Dating Scene ... and are tired of Singles Bars and are looking for nightlife in Philadelphia... well, you’ve come to the right place. Whether you're a Single Woman or Single Man this is your gateway to Singles Events and Activities in Philadelphia. It doesn't matter if you're looking for Speed Dating in Philadelphia, or just plain old fashioned Singles Dining - Singles Dance or Singles Social Events... this is the place to come. You might even find organizations for Christian Singles, Jewish Singles, and Mature Singles... as well as Networking Opportunities... and a whole lot more. Isn't it about time you got out of the house and lived it up a little?... here's your chance! SpeedDatePhiladelphia.com - A locally owned and operated Speed Dating service that caters to single professionals who are serious about finding the right person to date and want to do it away from the traditional bar pick-up scene. YoungProfessionalEvents.com - They claim to be "Philly & South Jersey's source for awesome events for young professionals in their 20s & mid 30s." Philadelphia Happy Hour Meetup Group - Though not strictly for Singles, this group invites you to "Meet great people near you at a fun Bar / Pub / Restaurant. Come for the bar specials stay for the crowd! Ages 20's - 40s." South Jersey Single Adventurers - This social group is for Singles who enjoy having fun, exploring new places and making new friends in a comfortable welcoming environment and having a few laughs along the way.....with an emphasis on friendship.